What Does It Mean To Be A Jew? A lot of Jewish people identify somewhere between orthodox and atheist. As Rosh Hashanah, the Jewish New Year, and Yom Kippur approach many might come face-to-face with questions about faith and identity. Host Michel Martin talks with Theodore Ross about his book and his journey to answer the question, Am I A Jew? What Does It Mean To Be A Jew? A lot of Jewish people identify somewhere between orthodox and atheist. As Rosh Hashanah, the Jewish New Year, and Yom Kippur approach many might come face-to-face with questions about faith and identity. Host Michel Martin talks with Theodore Ross about his book and his journey to answer the question, Am I A Jew? Read an excerpt of Am I a Jew? And now, we turn to Faith Matters. That's the part of the program where we talk about matters of faith, religion and spirituality. This Sunday night marks the start of Rosh Hashanah, the Jewish New Year, and the beginning of what are known as the High Holy Days, for observance used, the most spiritually profound time of year. But our next guest reminds us that, for many, the holidays present an ongoing conundrum, which is what does it mean to be Jewish? His name is Theodore Ross and he's written a new book called "Am I a Jew? Lost Tribes, Lapsed Jews and One Man's Search for Himself." Welcome. Thanks so much for joining us. THEODORE ROSS: Thank you, Michel, for having me. I appreciate it. MARTIN: Well, you know, the first line of your memoir kind of tells us why you are drawn to this interesting query, which is to say that, at nine years old, you say your mother forced you to convert to Christianity. What happened there? ROSS: Well, we had moved just recently from New York City to the Gulf Coast of Mississippi and, when we had moved, part of what my mother had decided when we were going to Mississippi was that we would no longer tell people that we were Jewish and I was sent to an Episcopal school where I sang in the choir and took communion and, if anybody asked, I said I was Unitarian. MARTIN: But, you know, you say in the book that there is, admittedly, a certain Hebraic quality in even asking such a question, the question being, am I a Jew? You say, what other faith conjures up so much doubt in its adherence? It's fundamental to the religion itself. Why do you say that? ROSS: Well, I mean, I don't want to speak for other faiths, but I do believe that there is a certain type of self-reflection that you find among Jews and that it is not an easy religion or faith or group of ideas to define because it's so different for so many people as opposed to say I think Catholics know who they are as opposed to, say, a Baptist. Jews can be many different things all at the same time. MARTIN: Well, you know, there's some data that bears that out. According to a 2010 survey by the Cohen Center for Modern Jewish Studies, six out of 10 American Jews identify as secular or, quote, "just Jewish," which is interesting in and of itself, you know, to your point. So you start digging into some questions about whether you can really call yourself Jewish, not having been brought up with being - knowing that you had a Jewish heritage, knowing that you had a Jewish identity, but not having practiced as a - you know, through most of your childhood. And this is the part where you say there's no real definition for what it means to be Jewish. Can you talk a little bit about that? ROSS: Well, I mean, it's not just that there's no real definition for Jewish. It's that - for someone to be Jewish. It's that I had to - the more I looked at it, the more I started to define things as Jewish, the more difficult it became for me to understand. I think, from most reasonable measures, I would be considered Jewish. I am genealogically Jewish. My mother is Jewish. All of the maternal line within my family is Jewish. But that doesn't really tell very much in a religion that can have, on the one hand, a holiday, Yom Kippur, where some ultra-orthodox Jews will atone for their sins by swinging a chicken around their head while praying. On the other hand, there will be very liberal Jews who might, for example, buy a $7.99 Sabbath manifesto sleeping bag to hid their cell phone in over the course of the weekend. MARTIN: Well, you also make a point that this is a very, you know, poignant and profound question, in part because millions of people have lost their lives over this question. ROSS: Absolutely. I mean, there is always the legacy of the Holocaust and I know, in my mother's case, some of those traditional concerns, whether it was the reflexive liberal politics or the - what I can in the book, the handwringing over the Holocaust, those are the kinds of things that, I think, irked her and, in some ways, drove her away from the religion. She wanted to be American in a purely - I hate to use this word, but in a purely generic kind of way. And, for her, having the ethnic specificity of being Jewish, particularly in relation to the Holocaust, kept her away from what she considered to be the real American dream. MARTIN: I just want to ask you to explain one phrase that's in the book, which I think some people might relate to. It's in the title, actually. It's lapsed Jews. In fact, you describe yourself as a lapsed Jew. Could you talk about that? What is that? ROSS: Well, I mean, I think - I don't think I'm alone in that. I mean, you referenced that study, which was U.S. Jewry 2010. If you have 60 percent of the Jewish population in the United States calling itself, quote, unquote, "just Jewish," I think there's a fair amount of people who have fallen away from the specifics of their denomination and are, to a certain extent, making it up as they go along. And I don't necessarily think that's a bad thing. MARTIN: I'm sorry. 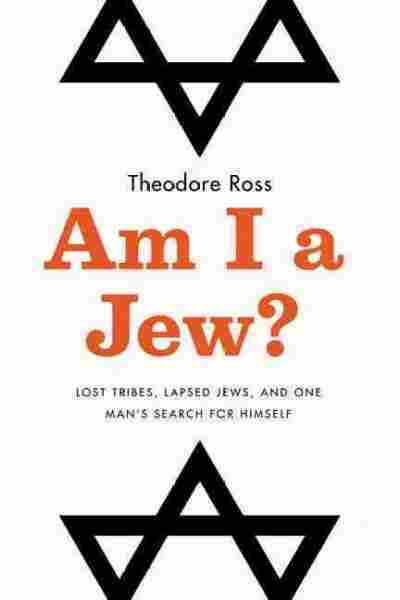 I'm speaking with writer Theodore Ross about his new book, "Am I a Jew? Lost Tribes, Lapsed Jews and One Man's Search for Himself." Sorry to interrupt, but I don't want to give away the ending because it is a journey. I mean, you spend time with, you know, ultra-liberal Jews, with ultra-orthodox Jews and with kind of the whole continuum, but have you - how can I ask this without giving it away? Have you come to a reconciliation about your identity? How are you answering the question? Is it OK that I ask? ROSS: That's fine. I don't know that I have a satisfactory answer for you, in a certain respect. For me, one of the things that I told myself as I was doing my research and traveling around the country and going to Israel to try to answer my question was - I kept reminding myself, you know, Theodore, you're not a historian, you're not a rabbi, you're not a judge and you're not a referee. There is no sense that I had to come to a definitive conclusion, although I do feel, if you read to the end of the book, I do answer it. There is nothing left unrevealed at the end of my book. But I'm on a personal journey and it's one largely of questioning and reflection and I don't think that there has to be a natural end to that. MARTIN: Well, what advice do you have? Or do you feel comfortable offering advice for others like yourself who are grappling with some of the same questions that you have? I mean, that seems like that kind of questioning is also very American, too, so do you have some advice there? ROSS: ...who is doubting their Judaism? MARTIN: Asking those same questions. Yeah. ROSS: I would say that you - that you have to do your homework. I spent a lot of time reading. I spoke to as many different kinds of Jews as I possibly could and a whole gamut of experiences. One of the things that I chose to do was -given, again, that 60 percent of just Jews out there - I decided to go to the peripheries and the extremes to look for the truth and specificity that I was interested in. I felt like the people, those ultra-liberals that you mentioned or the Jews that I met who are of Ethiopian descent in Israel or the so-called crypto Jews in New Mexico - they were testing the limits of Judaism in a way that you probably couldn't find at your local synagogue. ROSS: So maybe that's the thing to do - is look hard if you want to find - if you want to find Judaism. MARTIN: So is it OK if I wish you a Happy Rosh Hashanah or L'Shana Tova? ROSS: That's kosher with me. Thank you very much. MARTIN: OK. Theodore Ross is the author of the new rereleased memoir, "Am I a Jew? Lost Tribes, Lapsed Jews and One Man's Search for Himself." He's also an editor at Men's Journal magazine and he was kind enough to join us from our studios in New York City. ROSS: Thank you very much.